Kamala Harris announced on ABC’s “Good Morning America” that she was running for President. Harris timed her announcement to coincide with the Martin Luther King Jr. holiday to show her support for the civil rights movement. If nominated, she will be the first African American woman to be a major political party nominee for the presidency. With her announcement on the morning news show, she joins Carol Moseley Braun and Shirley Chisholm as African American women who have tried to become the Democratic ticket nominee. Harris served as the attorney general of California and the district attorney of San Francisco for over 12 years. She became a state Senator in 2016. Being only the second African American woman to be elected to the Senate, she was passionate about racial equality issues. She also has been a strong immigration advocate, and many have praised her stand in opposition to White House policies regarding the issue. She was the first senator who announced she would not vote for a spending package if the Dreamers were not protected. As an attorney general, she confronted the child migrant crisis and was the first to call for Homeland Security Secretary Kirstjen Nielsen to resign after the Trump administration issued family separation policies. Harris also backed marijuana legalization and Medicare-for-All. She labels herself a progressive, but some of her records on criminal justice have been scrutinized, especially her beliefs on the death penalty and incarceration. Harris opposes the death penalty. In 2004, when she was the San Francisco district attorney, she was scolded by the California police unions and Democratic Senator Dianne Feinstein for not seeking the death penalty for the killer of San Francisco police officer Isaac Espinoza. In 2014, Harris withheld a vote for Proposition 47, reform on the three strike law of California. At the time, Harris spokespeople said it was her policy that an attorney general will not take a position on a ballot she helped write. Many viewed this as a conflict of interest. 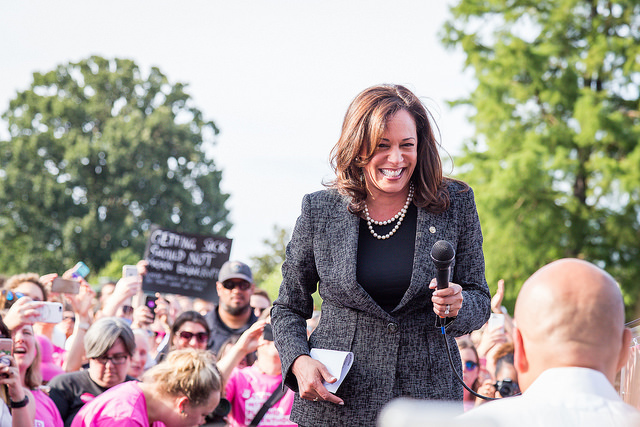 In a video released by the Harris Campaign, the presidential candidate can be seen saying that the future of the United States depends on everybody lifting their voices to fight for American values. That is why she was running for president. She wants to bring all voices together.